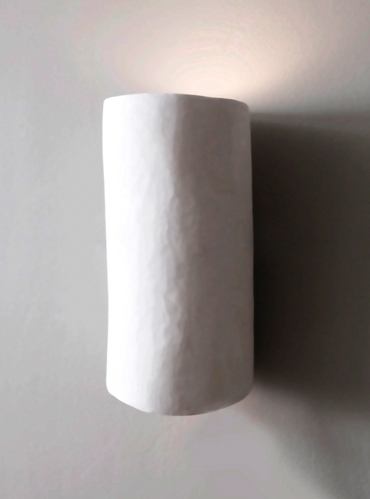 Serenity is a hand sculpted and moulded wall light made in carved plaster. Up and down lighter, it is the perfect wall light for spas, therapy rooms, and any space in your home where you want to create a sense of sculptural purity and serenity. H. 30 cm, Dia' 12 cm. 2 x E14 lamp holders, giving UP and DOWN light.